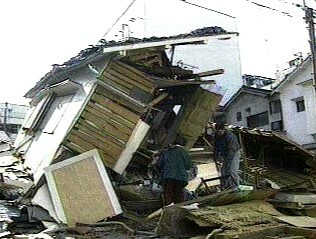 The Kobe earthquake that occurred in Japan in January 1995 caused the largest number of casualties in Japan since the earthquake in Tokyo in 1923. 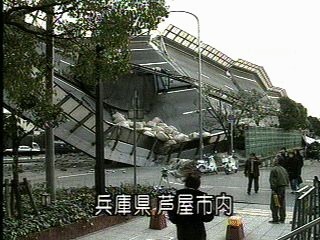 The Kobe earthquake measured 7.2 on the Richter scale and the table below shows the carnage that it caused. There was severe damage to transportation systems and essential reticulated services. Some 800,000 homes were left without gas and water supplies. Additionally all electricity and communications were cut off. The total cost of the destruction has been estimated to be US $95-140 billion. 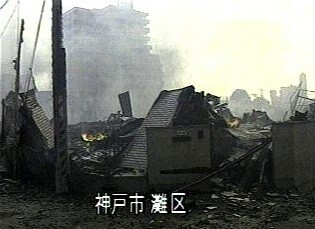 After the earthquake struck Kobe, many fires resulted from the damage. This is a common problem after earthquakes due to burst gas pipes and sparking electricity services. Broken and blocked roads hindered emergency vehicles and the interruption of water supplies meant that it was difficult to extinguish the fires and hence many burnt unhindered for dozens of hours. A large number of timber-framed buildings with excellent earthquake design survived the shake, only to burn to the ground in the subsequent fires. 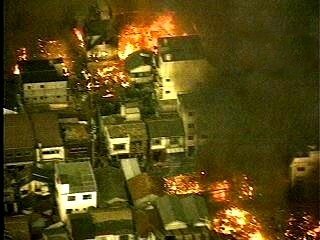 Because AAC (Autoclaved Aerated Concrete) is non-combustible, the many buildings in the Kobe area helped to prevent the spread of the fires. Fires inside these buildings burnt for hours until the inside of the building was completely burnt out, but the AAC structure did not fail and prevented the fire from spreading to the adjoining buildings. There were also examples of AAC buildings surviving where an adjoining building was burnt to the ground whilst the AAC building escaped relatively unscathed as the AAC prevented the fire from entering the building. Of course, there was some damage to AAC buildings, however in general the damage was restricted to AAC buildings constructed before 1981. In 1981 the Japanese changed their building regulations with a lot of amendments to building rules in respect to earthquake provisions. These changes had a major effect on reducing damage to buildings in earthquakes in Japan.